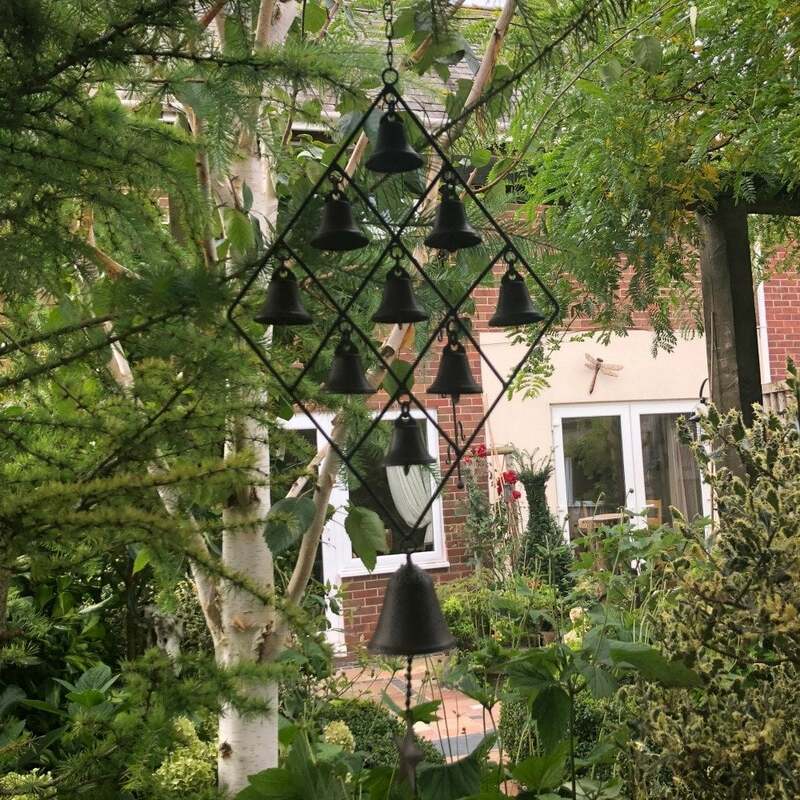 Measures 29 x 10.5 x 3"
This beautiful cast iron bell wind chime from Ruddick Garden Gifts would make a fabulous gift for anyone who loves their garden. 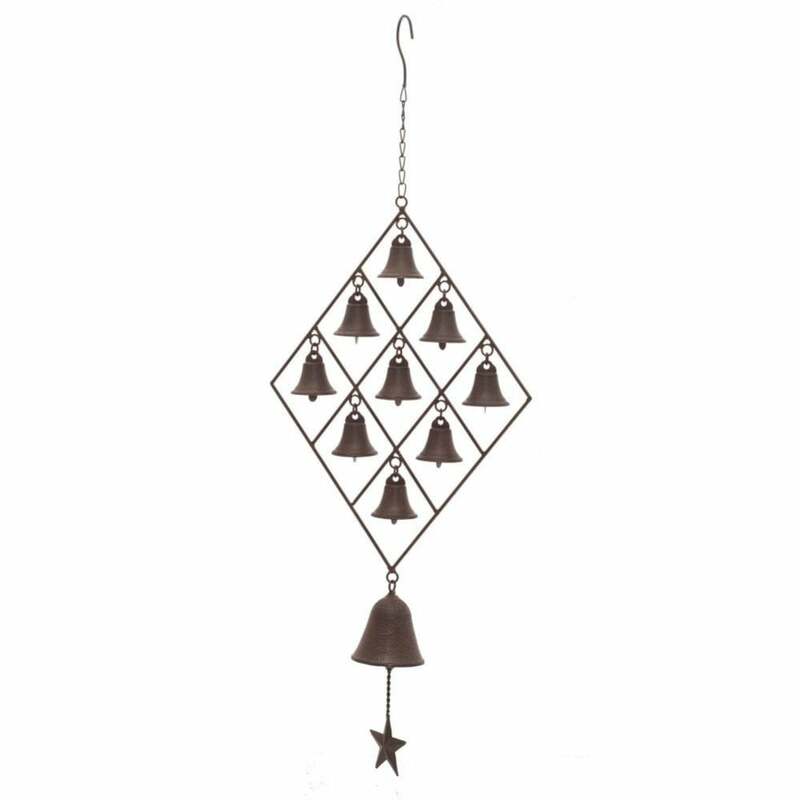 Made from cast iron the wind chime features 9 small bells and one large bell. 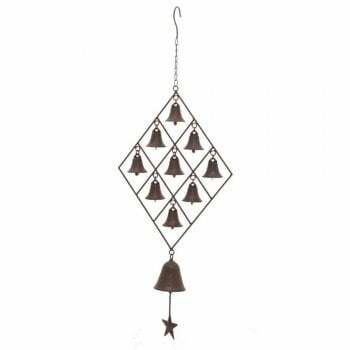 Comes with a hanging hook so you just need to place it wherever you want in your garden. 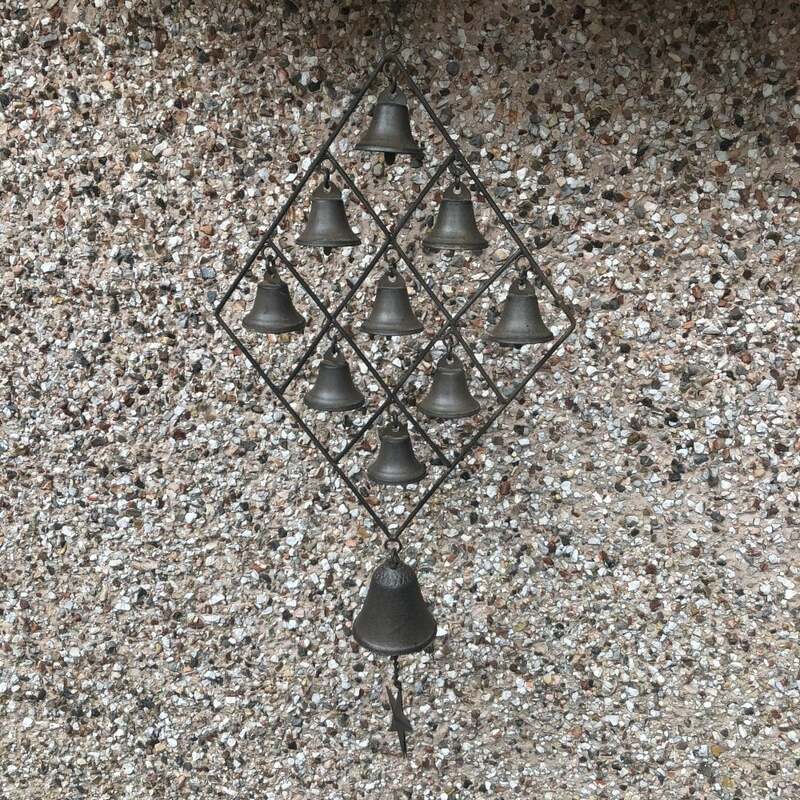 Would make a great house warming gift too.